The founder duo, Stephanie Chace Bass, an award-winning US figure skater and Emily Bloyd, a skater mom understood the hindrances while running skating classes. Lessons were not clear, even not the invoices. It is then both planned to create a SaaS model and automate things for students, parents and teachers. Thus, SkateDash took its new shape in 2018. A comprehensive web and mobile app is here to revolutionize skate coaching practice. Save time, stay organized and improve student outcomes with SkateDash that’s the motto of the product. 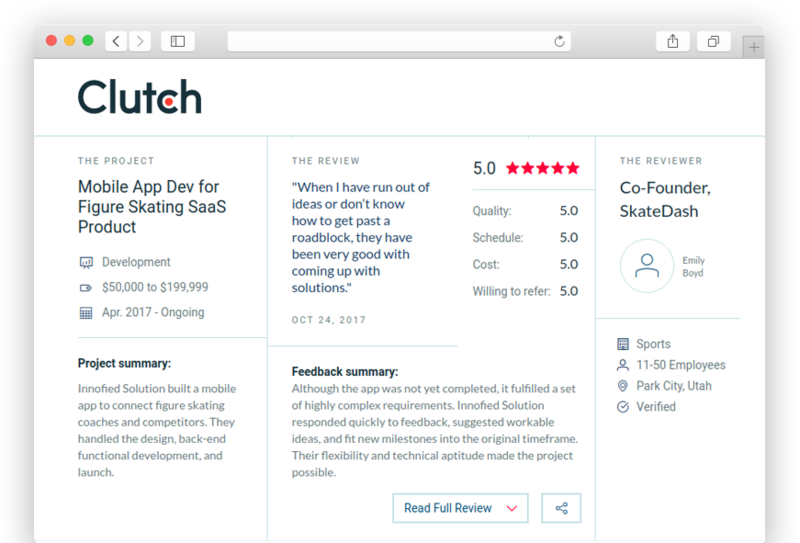 SkateDash is a complete SaaS model with web and mobile app that revolutionized skate coaching practice in Utah under the US skate veteran/ teacher Stephanie C. Bass. It saves time of both students and teachers, helps to stay organized and improve students result/training at the end of the day. Share lesson notes & videos of student achievements in real-time. To set the class timing, appointment time with teachers and introduce any new schedule in a custom calendar was their utmost need. Users are not tech-savvy so practice and progress tracking was asked to keep simple and customizable. Timezone support was an important thing on the part of SkateDash, as many took online coaching support as well. We have build the app in native platform and thus preferred to use the calendar for easy customization by users from any device. To keep the app lightweight, but at the same time keep progress monitoring at fingertips, we integrated CSV upload. To make things easier UTC time management in Server Side and Local Time management in App Front was implemented. Innofied Solution quickly to feedback, workable ideas, and new milestones into the original timeframe. When a promising Skating star did something amazing to teach the student, both art of skate in the rink as well keeping themselves updated in real-time about lessons with a SaaS model.Thus, something fine has to born - that’s SkateDash, a complete skate coaching tool for learners, teachers and parents.